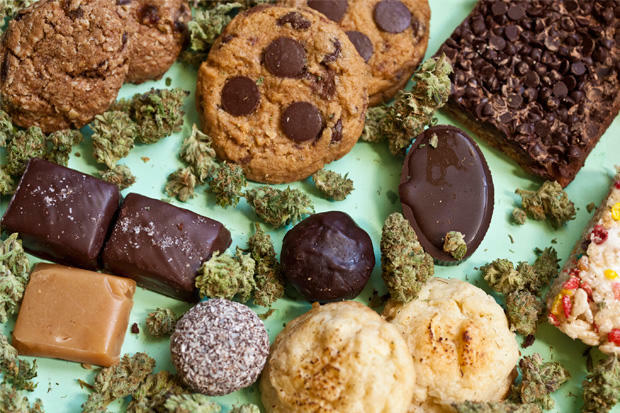 If you’re a fan of medical marijuana, then there’s no doubt you enjoy eating almost anything and everything you can get your hands on. 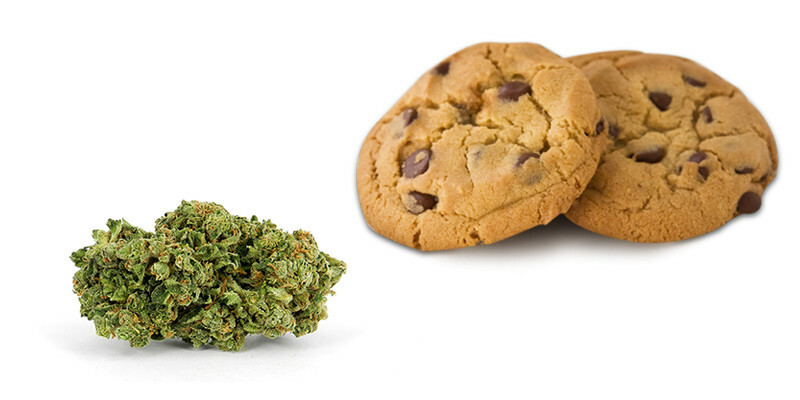 Wouldn’t it be great if we could just eat food that already had weed in it? Sigh.. only if there were cannabis recipes. Wait, hold on a second, did you know you can cook almost anything with cannabis. So not only can we enjoy delicious meals, we can get really stoned while scarfing them down. 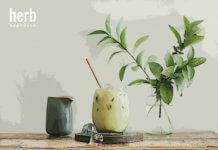 Let’s open our culinary cook books to a very friendly section, and learn how to cook a few simple cannabis infused recipes. Making cannabutter will allow you to whip up any cannabis recipes that calls for butter or a fat to become a medicated meal. It’s the base, and most important part of becoming a certified cannabis cook. It’s not very hard to make, but does take some time out of your day. Almost all recipes will call for “cannabutter” or a cannaoil. 1. 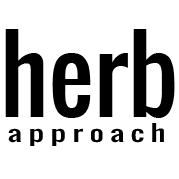 To make the best product possible we’re going to put our cannabis through a process known as “decarboxylation“. The process includes adding heat to the plant so the THC becomes active. Turn your oven on to 240F and spread your marijuana on a baking sheet. I like to use tin foil as it’s easier to remove the cannabis after. Bake for 40 minutes checking periodically and turning the sheet. After your flower will become dry and crumbly, perfect for our recipe. 2. Grab your medium sauce pan and bring a quart of water to a boil. Don’t be afraid to tinker with the measurements, this is your butter and only you know how you want it to taste. Once the water has boiled place your butter in the pan and watch it melt. I use a stick of butter for every quarter ounce of dried cannabis. Once the butter has melted bring the water mix to a very gentle boil. 3. Now it’s time to add in the cannabis. Once again make sure the temperature has been brought down to a very light simmer. This allows for a slow release of THC without burning the plant or butter. I give the cannabutter 3-4 hours to finish, you can tell it’s time to pull it off the heat when the product looks thick and glossy. 4. Take your cheesecloth and secure it over your heat resistance bowl. You can use elastic bands or tape to make sure it stays in place. This will filter out all the spent plant matter that’s no longer needed in your mix! 5. Strain your cannabutter mix through the cheesecloth slowly and careful as to not spill any. Once your saucepan is empty grab the cheese cloth and “wring” every last bit of butter. 6. Now it’s time to cool of your finished product. Put it in the fridge until the butter has rose to the top and becomes solid. All the medicinal properties of your cannabis has been infused to the butter and is almost ready to be ate! 7. Take a knife around the edges of your container and carefully cut the cannabutter out, placing it upside down on a clean flat surface or cutting board. Scrape off any remaining water that might be left. 1.This is one of the easier cannabis recipes. First off you want to pre-heat the oven to 325 degrees and grease up that baking sheet you’ll be using (you can use a bit of cannabutter, if you have some extra of course! 2. Grab a medium sized bowl and combine the 1 1/3 cups of all purpose natural flour, 1/4 tablespoon of baking soda and 1/4 tablespoon of salt. 3. Whisk this mixture until everything is combined and the set it aside for the time being. Grab another medium sized bowl and mix the 1/2 cup of cannabutter, 1/3 cup of granulated sugar and 2/3 cups of packed brown sugar. For the best results, I like to use a mixer. Continue mixing until the contents in this bowl are creamy. 4. Once the mixture is all set, add in the 2 tablespoons of vanilla extract and egg. Continue mixing with your hand mixture until the butter/sugar/brown sugar combination has a light consistency, and then add in the chocolate chips. Once the chocolate chips are added, gently stir in the flower mixture from the first bowl into the second. It may take awhile, but continue mixing until you have decent looking and firm cookie dough. 5. Once the dough is ready, you will then spoon the mixture out into 1/4 cup cookies on a sheet and spread them out accordingly. Place them into the preheated oven at 325 degrees and let the cookies bake for 18-25 minutes. 6. 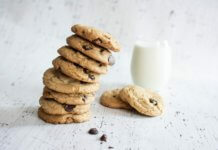 Remove the sheet from the oven when the cookies are a crisp golden brown and let them cool for approximately 10-15 minutes before removing from the sheet. Once the cookies have cook, sit down and enjoy your hard work! Don’t forget the milk! We’ve included a video outlining the steps listed above to help you visualize the entire process. Now that we’ve got our cookies, what’s missing? You know it’s got to be some milk to dip them in. This match made in heaven will literally make you feel like your’e walking through those pearly gates. 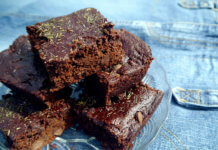 This is one of the easier recipe’s and best cannabis recipes you’ll ever use in your life. But don’t let that deter you from how awesome of a product it is! 1.Heat the oven to 250°F|120°C. Spread the marijuana out into an even layer on a baking sheet. Bake the marijuana, taking care not to let the marijuana go over 250°|120°C and burn (if this happens, you can lose potency). 1.So the first step of this recipe is to melt your 1 cup of cannabutter down in a medium sized pot on the stove. 2. Then you are going to mix in the dash of salt and 2 1/2 cups of brown sugar. Once these ingredients have combined, stir in the milk and corn syrup. It should be noted here that you are going to want to consistently continue to stir the mixture throughout the entire process. 3. 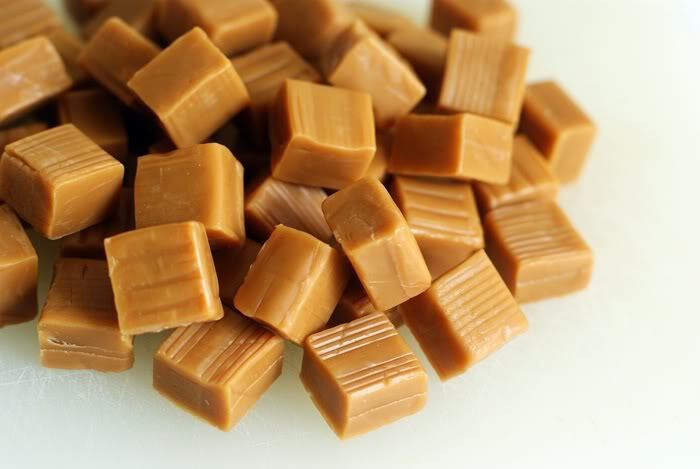 We are working with a small amount of caramels here so it is advised to let this mixture heat up on medium to high heat for around 12 to 15 minutes, or until the mixture starts to turn into a goo and harden. 4. It is at this point that we are going to mix in the 1 tablespoon of vanilla. Once the vanilla has been evenly dispersed, pour the caramel into a 9×13 inch pan and let them cool. A 9×13 inch pan is not required, but I’ve found it works best with the amount of caramel we are working with here. 5. Once these are cooled, cut wrap and serve. As an added tip, I personally like to add coarse salt on top or drizzle them in some melted chocolate. Get creative here, the sky is the limit! 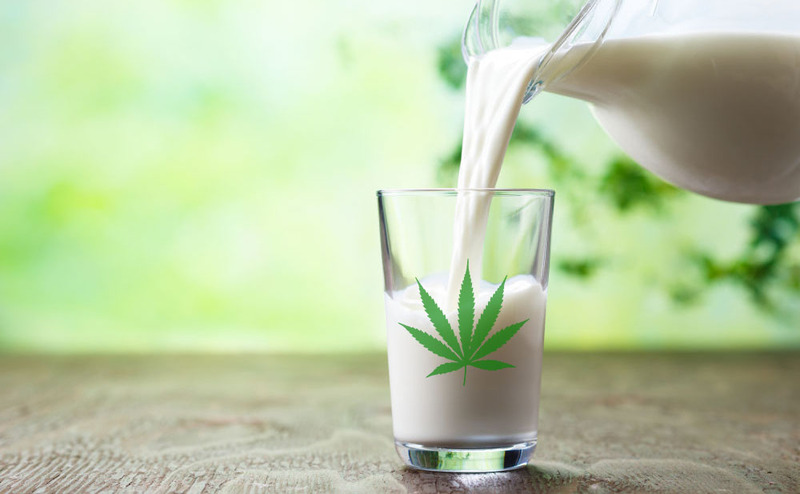 Cannabis recipes are a great way to medicate with a tasty twist to it. I know my sweet tooth got satisfied from these, I hope yours did too!